Digital Coma Coating Station. Preset Gap Setting Very High Accuracy. Least Count 1 Micron. Reverse Roll & Reverse Kiss Coating for various fabrics. 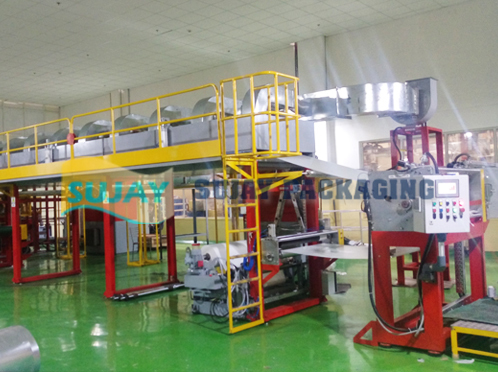 AluGlass, FSK, Glass Cloth. Digital Gap Setting at Lamination for precision in Adhesive Transfer to Foam. Also Available with Online Side Trim station & Online Length Cutting Station. 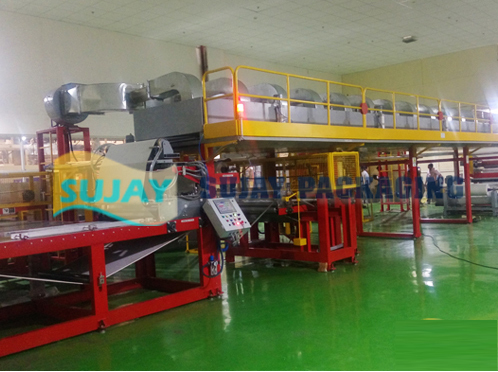 WIDTH OF MACHINE From 500 Mm To 2000 MM. 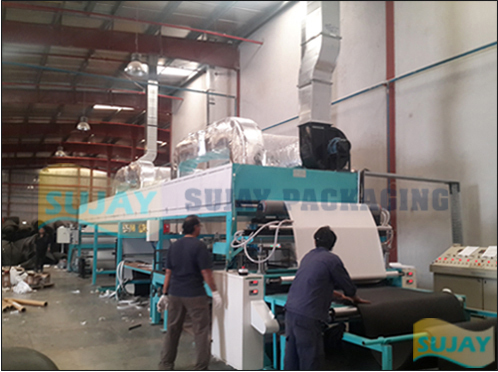 LENGTH Custom Built As Per Products & Line Speed Required. COAT WEIGHT Min. 15 Gsm Upto 500 Gsm Dry. 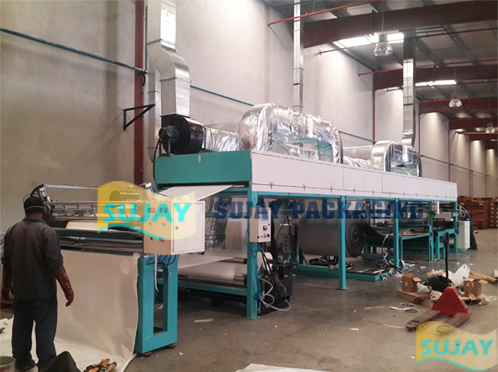 HEATING Indirect Through Hot Air Generator Diesel Or Gas Fired. AUTO MODEL Available Fully Programmable Model with Recipe Setting For Different Products. 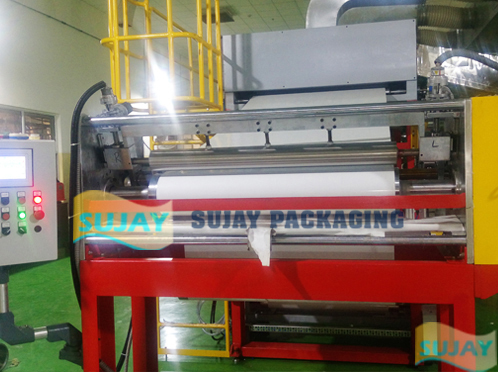 All Parameters Like Tension, Temperatures, GSM, Lamination Gaps at Various Stations, Side trim Width, Cutting Length are preset. All reports generated online. Machine will have online support through Internet.